Well, hello there! And Happy New Year!! I hope you all had a relaxing time over the holidays, and that your New Years Eve celebrations were fun. For New Years Eve, I decided to go to Boston to visit a bunch of my friends from college, which of course meant enjoying lots of yummy cocktails. To make matters even more exciting, my birthday is the day before New Years Eve.. so, needless to say, we did a lot of celebrating! After watching the ball drop and ringing in the New Year with plenty of champagne, I spent the next day in recovery mode. All that partying takes a lot out of you! While in my recovery, I decided that for my cocktail post this week, I would make something non-alcoholic, to start 2016 off on a healthy note. 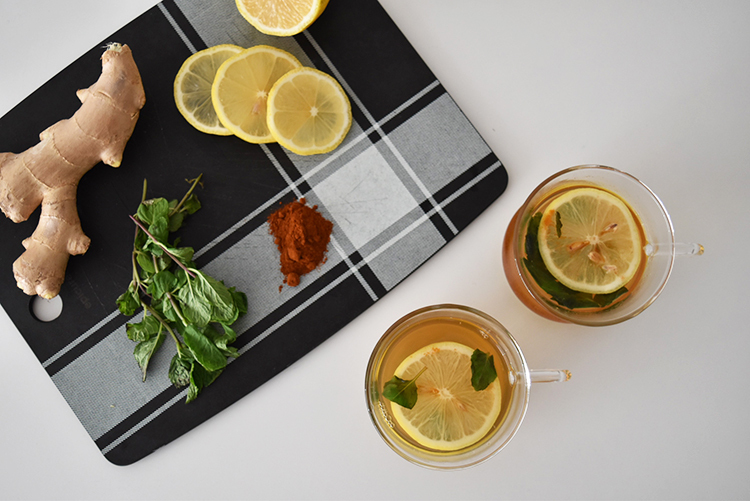 I happen to love tea, and was very excited to find a delicious and detoxifying recipe to share with you all. I came across this one for an anti-aging detox tea, and got to work! 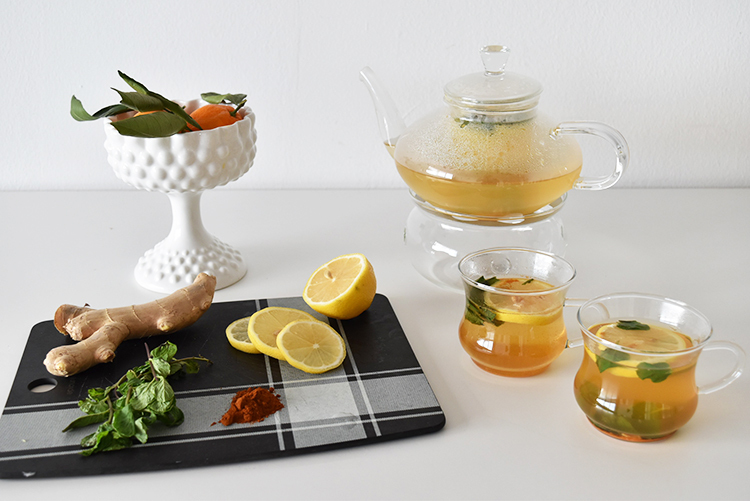 Here's what to do: 1) Combine freshly grated ginger, turmeric and fresh mint in your teapot. 2) Pour 2 cups of boiling water over other ingredients in teapot. Stir and let steep for 5 minutes. 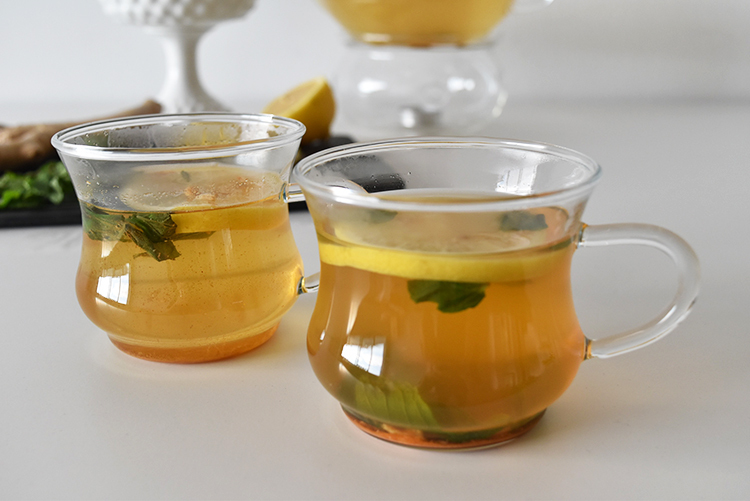 3) Slice lemon and add a few slices to each mug and the teapot. 3) Pour tea through fine mesh strainer when serving into mugs to filter out grated ginger. 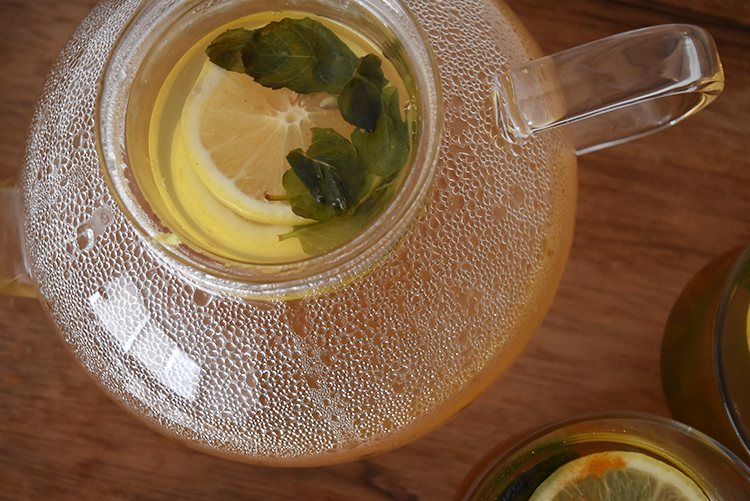 I hope this tea will help you feel revitalized and ready to take on the New Year. Enjoy, and see you next week!